Watch RWBY Prologue: Black online free with HQ / high quailty. 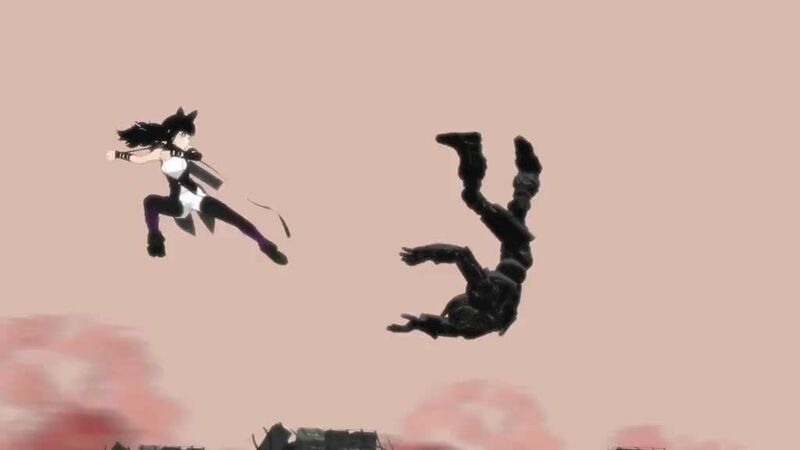 Stream RWBY RWBY Prologue: Black.Blake sits on a stone in a red forest when she is approached by Adam. The pair head down a cliff to a train passing through the forest. Inside the train, they fight off numerous armed robots. When Adam sets explosives to blow up the train car, Blake inquires about the crew, but Adam shows no concern. Adam and Blake are then faced with a large spider-like robot and fight it on an open-air train car. Blake holds the robot off so Adam can prepare an attack, which he uses to take it out. He then notices Blake on the car ahead just as she separates the cars, leaving him behind.